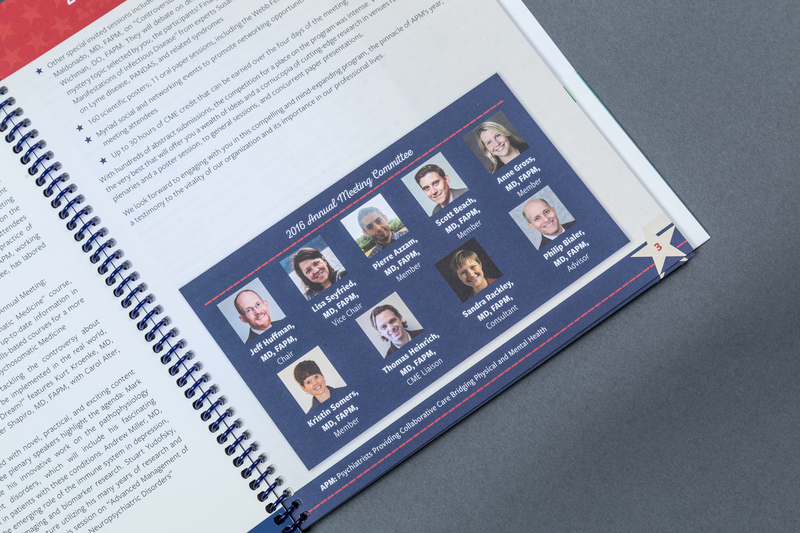 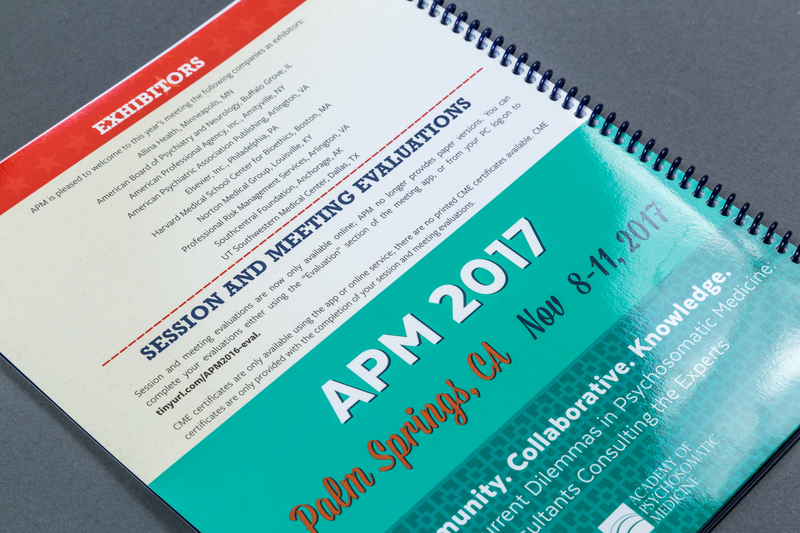 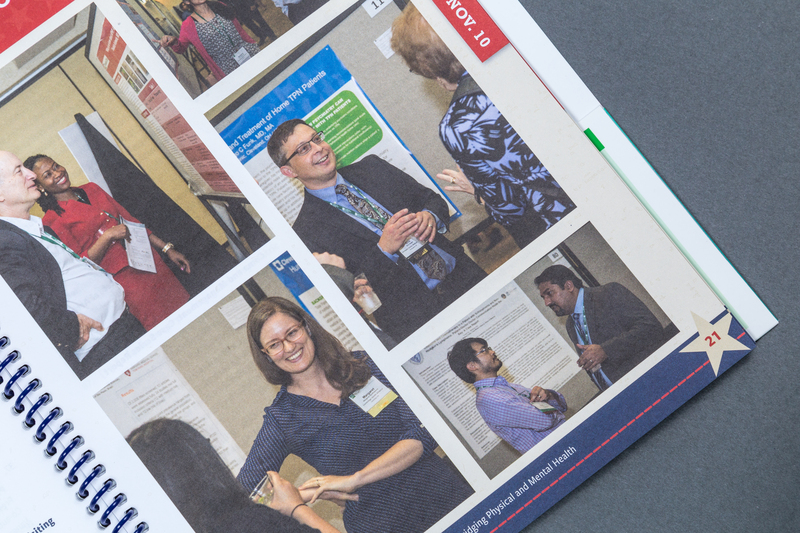 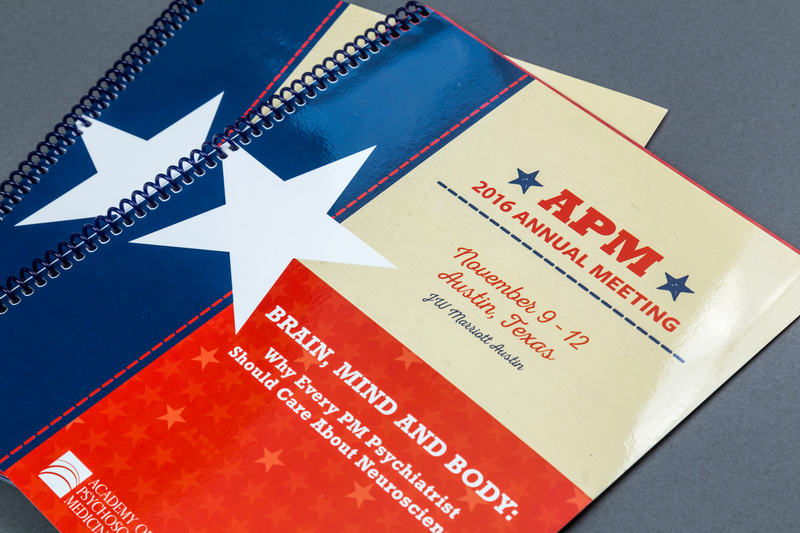 The Academy of Psychosomatic Medicine was looking to enhance the design of their annual national conference materials. 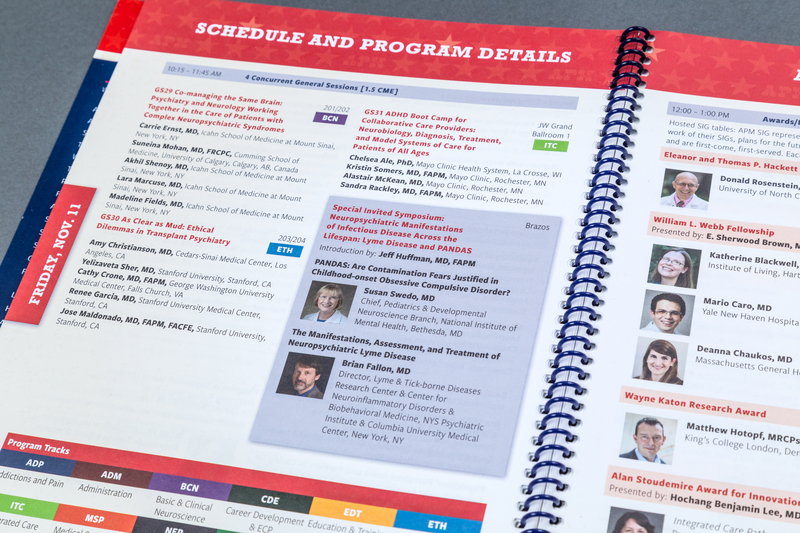 Previous years’ programs had been difficult to navigate, confusing and full of extremely tiny text. 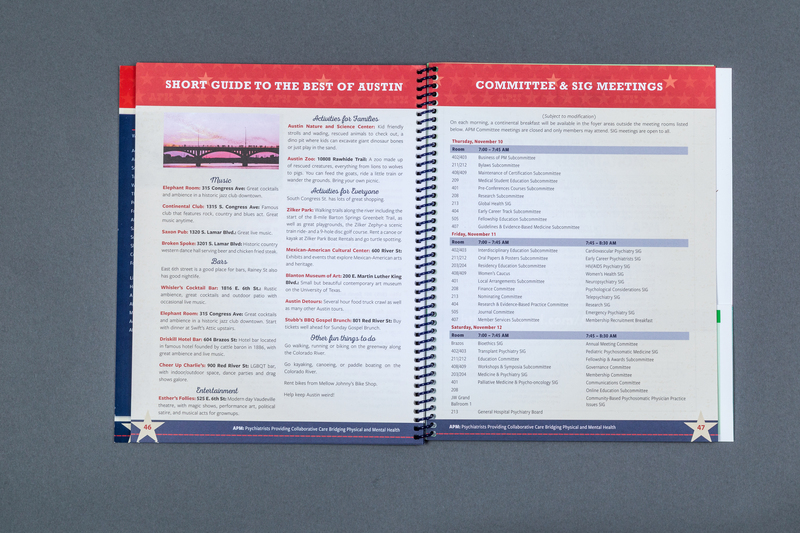 As the organization had been promoting their conference with a Texas theme and color palette for the better part of a year, I polished the meeting branding to make it feel more modern while still using major elements of the existing branding for that year. 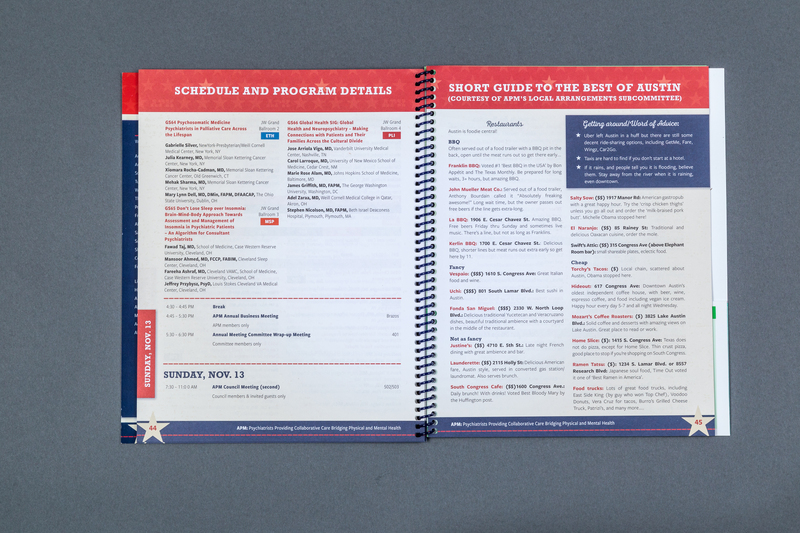 For the text within the program, I created a consistent system for the layout, using page breaks to separate information and help guide users through the events. 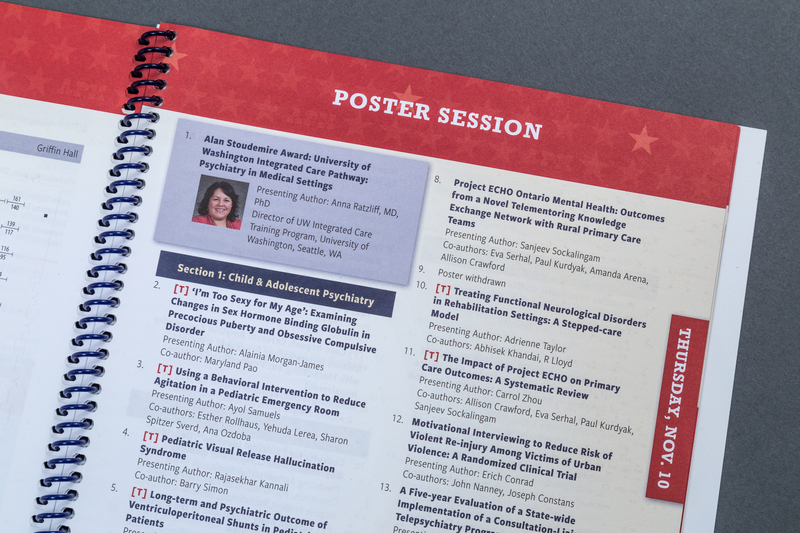 Highlighted posters and sessions also helped direct users to important information the client wanted to emphasize. 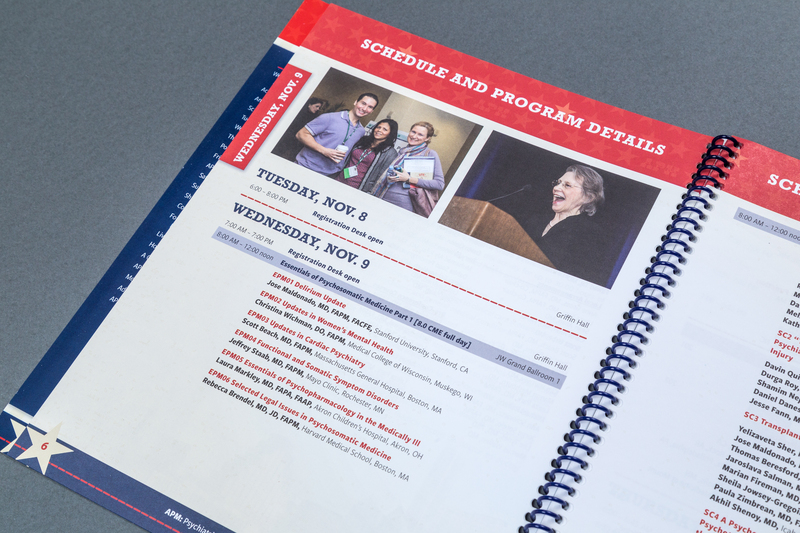 I designed a special layout for concurrent sessions so the attendees could readily identify when multiple options were available for a time slot and create a color-coded key for the tracks to indicate which sessions to focus on. 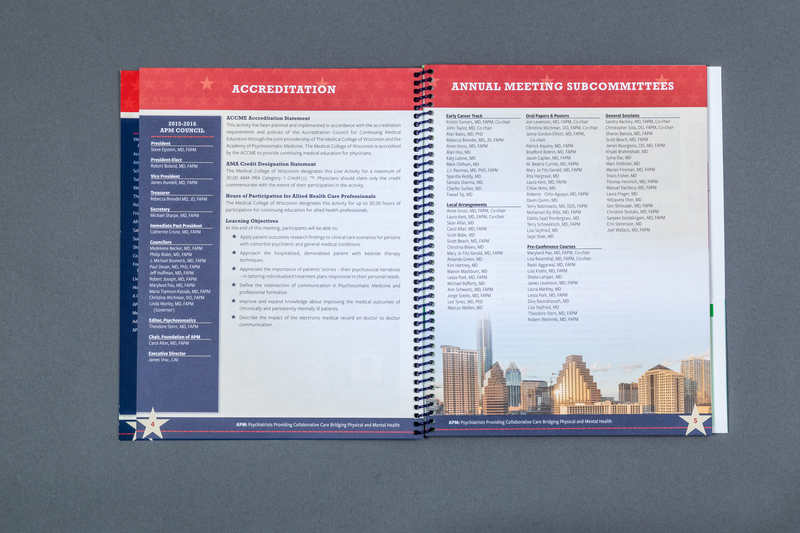 As part of this project, I also designed the branding for the following year’s meeting, setting up the visual language for the year’s advertisements. 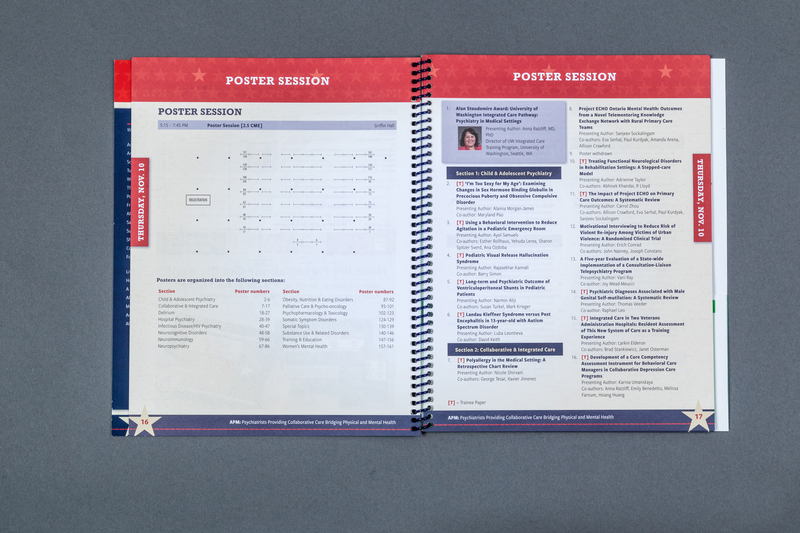 Poster designs and displays rounded out the branded experience for the attendees.